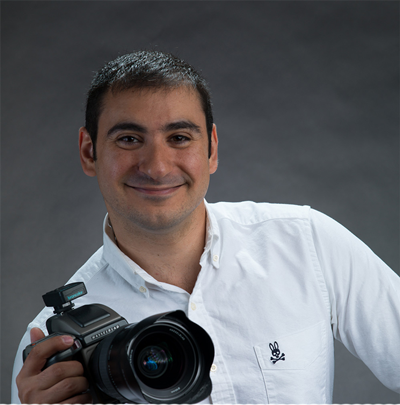 Professionally talented on many levels, Gaby Abboud runs a photography studio in Lombard when he’s not spending his day in process automation. He enjoys capturing life’s special moments and sharing them with others. Coming from an information technology background, Gaby integrates the latest technology with advanced equipment into all of his shoots. Gaby’s company, Gabmaster, joined IVO, Inc. in 2014 filling a need for corporate photography in online and offline medias. His specialties include capturing images for website branding, product shots, head shots, and corporate events. He brings with him a wide range of the latest the most up-to-date photography equipment and lenses.